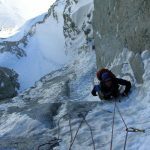 This course is designed for mountaineers who already have some alpine climbing experience and want to focus on enjoying the outstanding quality of the routes available here in the Chamonix Valley. 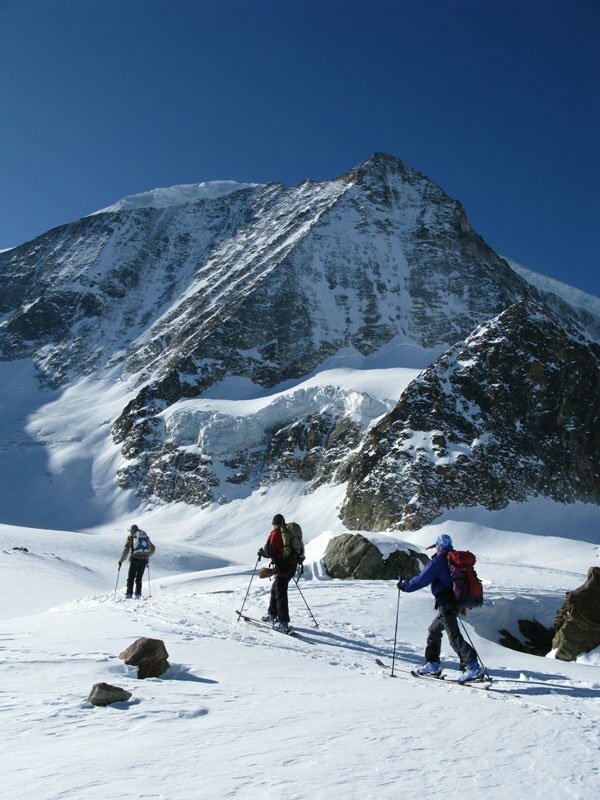 We aim to tackle technically interesting mountaineering routes, rock, ice & mixed, all in a stunning high mountain setting. 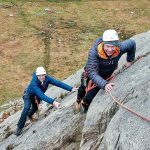 Thus whilst all our courses have a training element, so that you are always developing as a climber, this course is more focused on maximum climbing time. 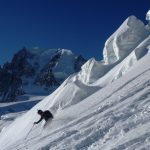 Those looking for more structured training should look at our Becoming an Alpinist course or arrange some Chamonix private guiding. 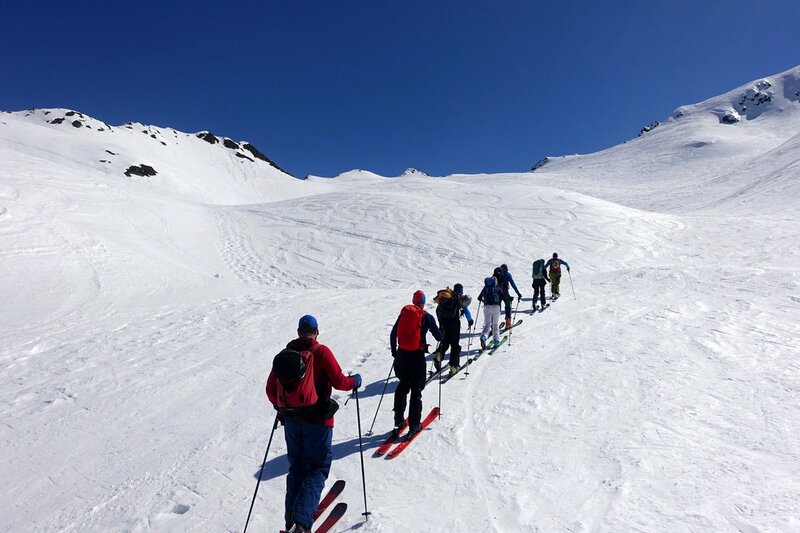 This course is run at a ratio of 1 International Mountain Guide (IFMGA) to 2 guests and the routes undertaken are usually in the PD to D- Alpine grade range. 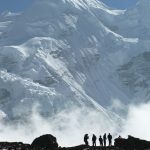 With the exception of the rock climbing on day 1, and if the weather allows, most of the climbing will be at an elevation of between 2500 & 4000m. Inspiring stuff! Our inspiring ‘Plan A’ programme for the week is described below. However flexibility is always retained until the start of the week when conditions and weather will be discussed alongside clients specific aims, experience, ability and fitness. 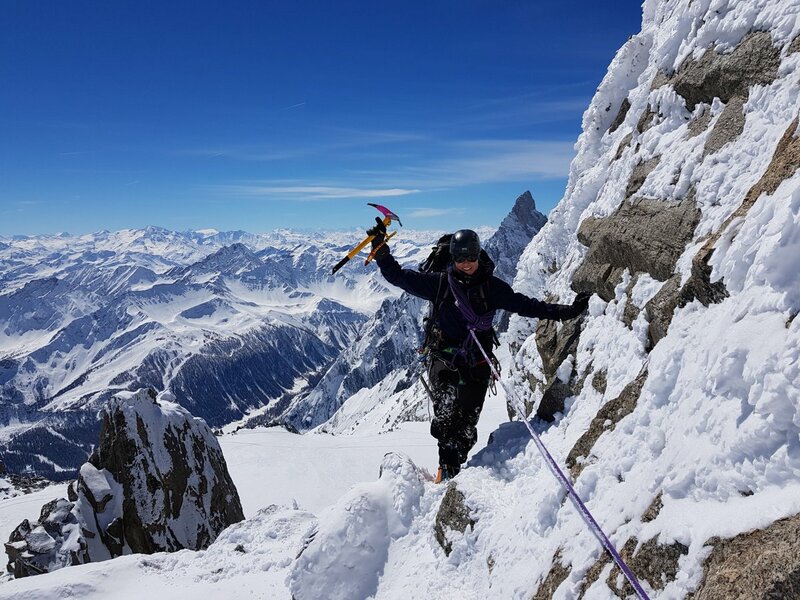 Our knowledge of Chamonix mountaineering will ensure just the right level of challenge, fun and a suitable progression in terms of the difficulty, length and style of climbing. 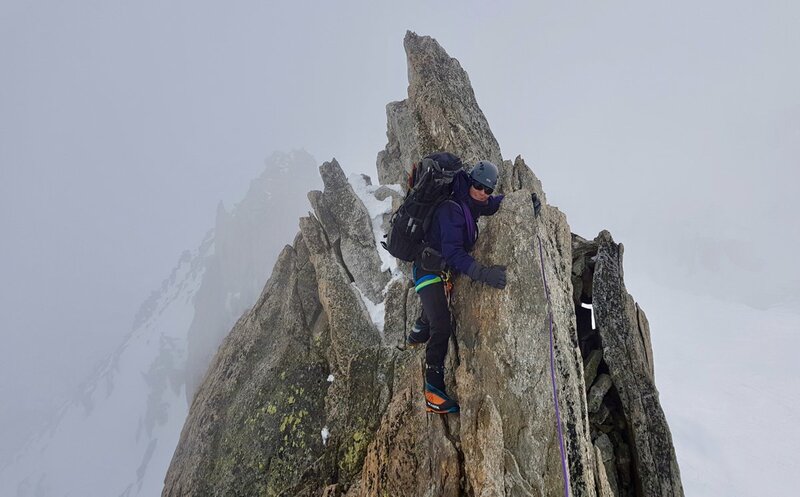 The week starts with an alpine multi-pitch rock climbing day which helps kick start the week ahead in terms of technical climbing, moving together, rope work training & acclimatisation. 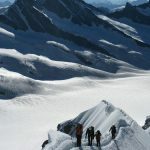 The course then usually takes the form of two overnight hut trips, each giving two fine days of high altitude alpine climbing on both the North & South side of the Mt Blanc Massif. 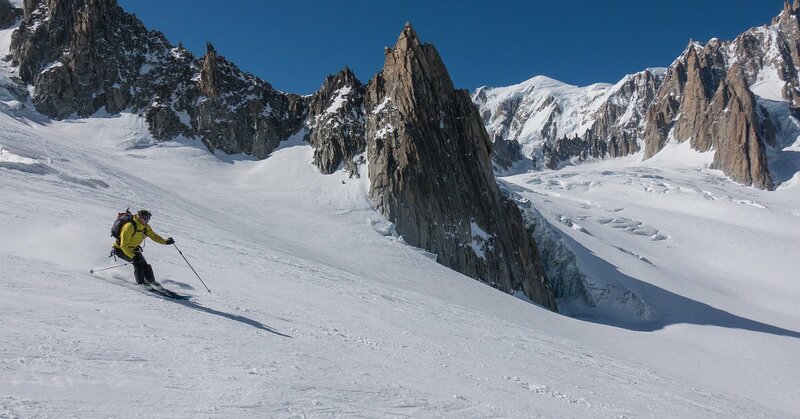 There are also very fine options for climbing on the East & West side of Mont Blanc if weather & conditions dictate this is preferable. 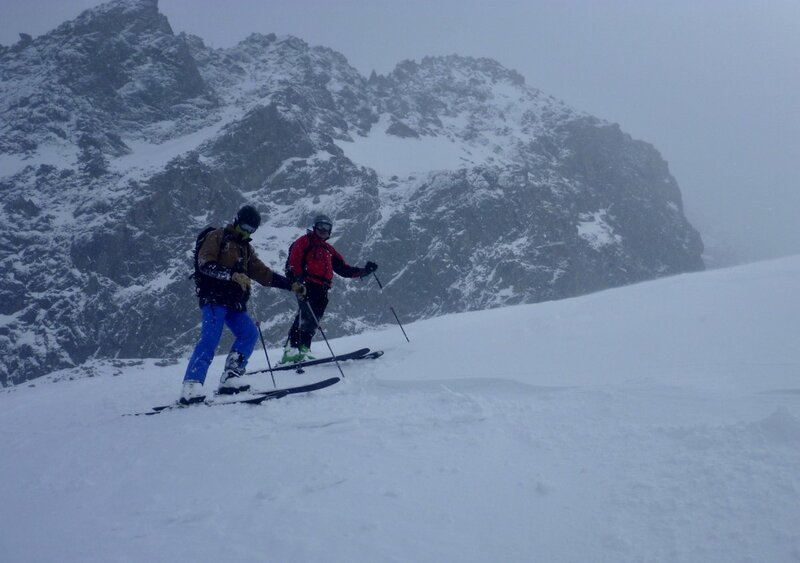 Pre Course – Arrive in Chamonix, arrange any hire equipment. Check in to Hotel / campsite etc. Any previous time spent in the valley climbing / warming up / acclimatising / training will be beneficial but is not essential. Day 1 – Multi-pitch Chamonix rock climbing training day. This often gives a great start to the week as a technical and ropework ‘shakedown’ day. 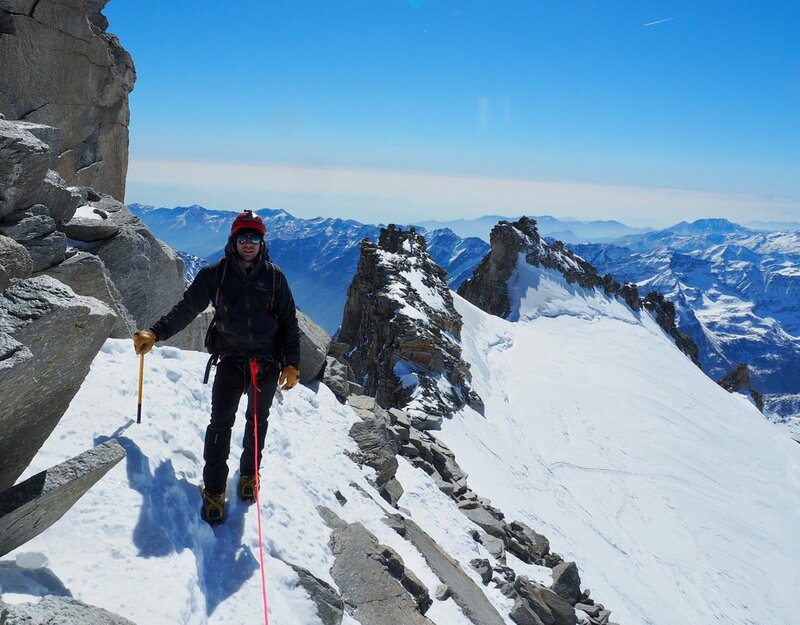 There is some superb alpine rock to be experienced on both the granitic Mont Blanc side of the valley and the rough gneiss of the Aiguilles Rouges. 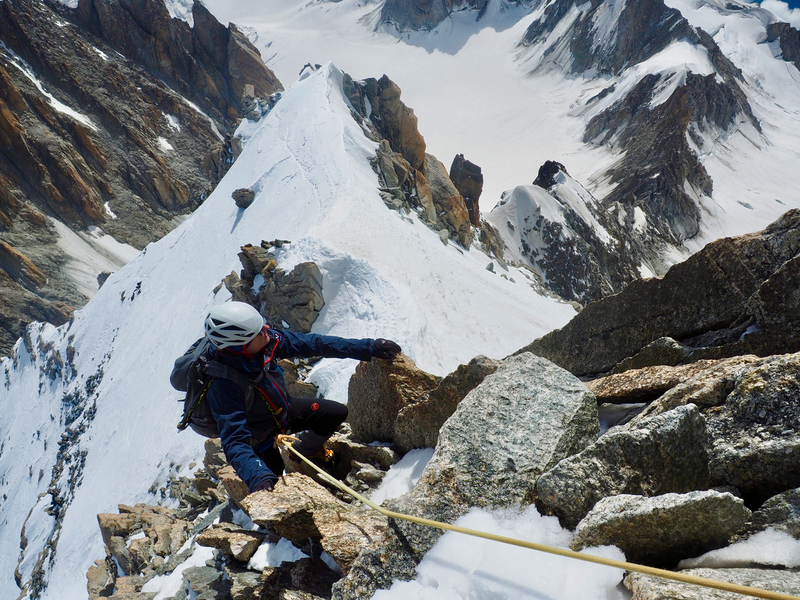 Days 2 & 3 – Alpine Climbing on The Italian Side of the Mont Blanc Range. 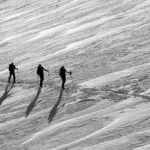 The famous Italian high mountain ‘Torino Hut’ forms our base camp for 2 days of quality alpine mountaineering or high altitude granite rock climbing. 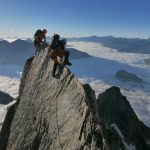 The choice of routes here is impressive and ranges from classic alpine ridge traverses like the Entreves & Tour Ronde, awesome steep 4000m rock spires like the Dent du Geant or brilliant high alpine rock like the Pyramide du Tacul. Day 2 allows a later finish thanks to the Italian dinner time in the hut & day 3 allows a pre-dawn alpine start to optimise climbing time. 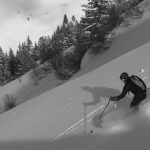 There are many many more classic Chamonix alpine routes, rock, ice & mixed and we would be delighted to discuss with you your plans should you have any specific routes in mind. 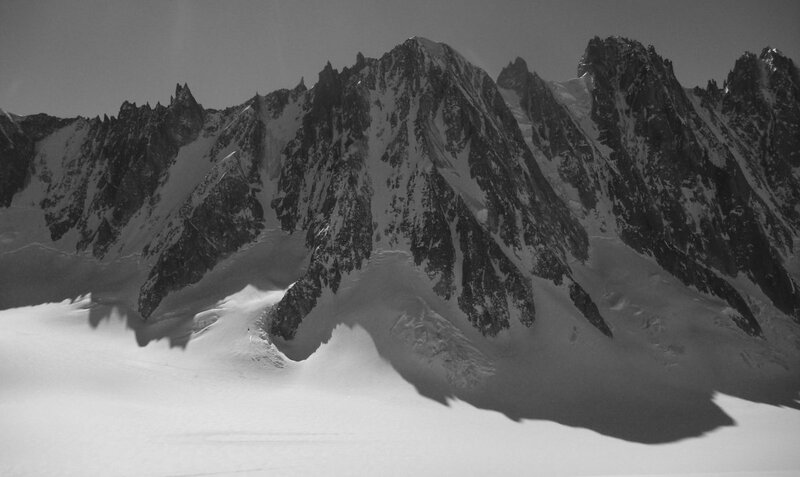 Please see our Chamonix galleries and Chamonix mountain reports pages for further inspiration. 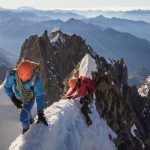 Chamonix Alpinist is designed for climbers with some existing alpine experience who want to do some quality routes with a Mountain Guide. 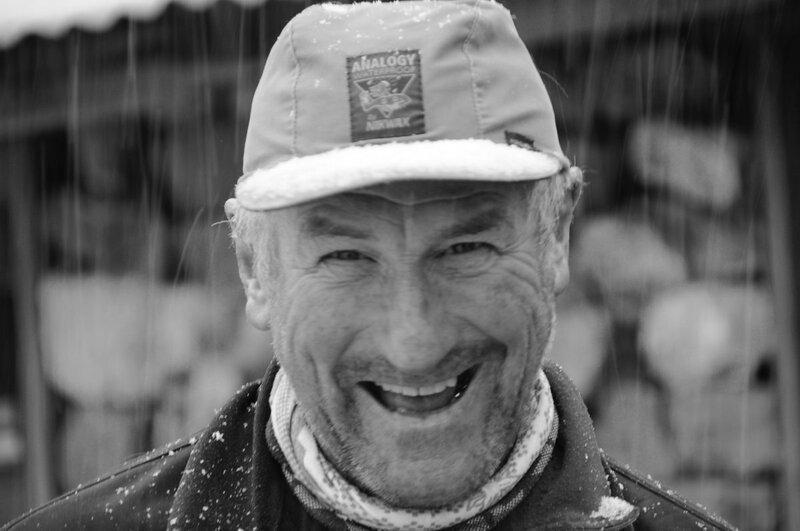 To make themost of this course you should be able to second F5C on rock and have some ice climbing experience. 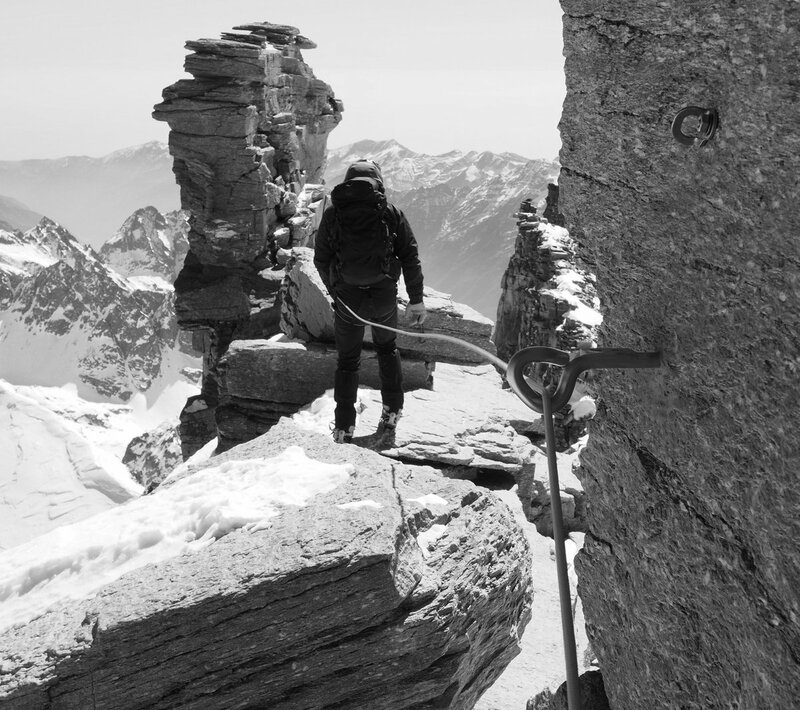 The peaks around Chamonix offer tough physical and technical challenges. Folk preparing for climbing these peaks should be able to complete 8-10 hour days of sustained mountaineering and climb again the next day.. 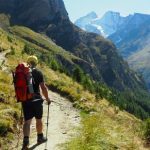 Many of the suggested routes are exacting and exposed alpine challenges and a variety of practiced mountaineering skills are required from neat scrambling, sound easy rock climbing with a pack to accurate and reliable cramponing skills. 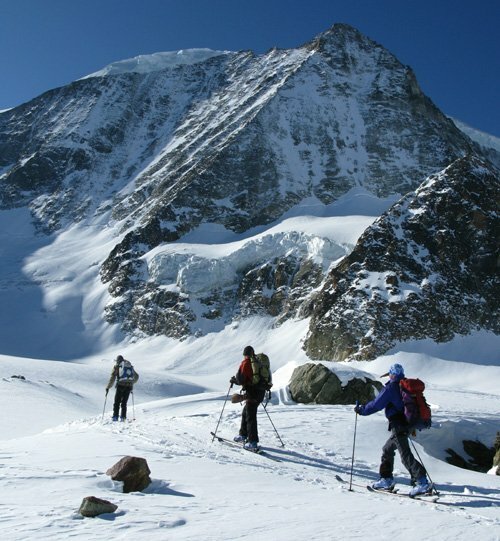 Please see out Alpine Mountaineering Equipment List below. In addition to all the items mentioned in that list you will also require the following items, both of which can be easily & cheaply hired from us. 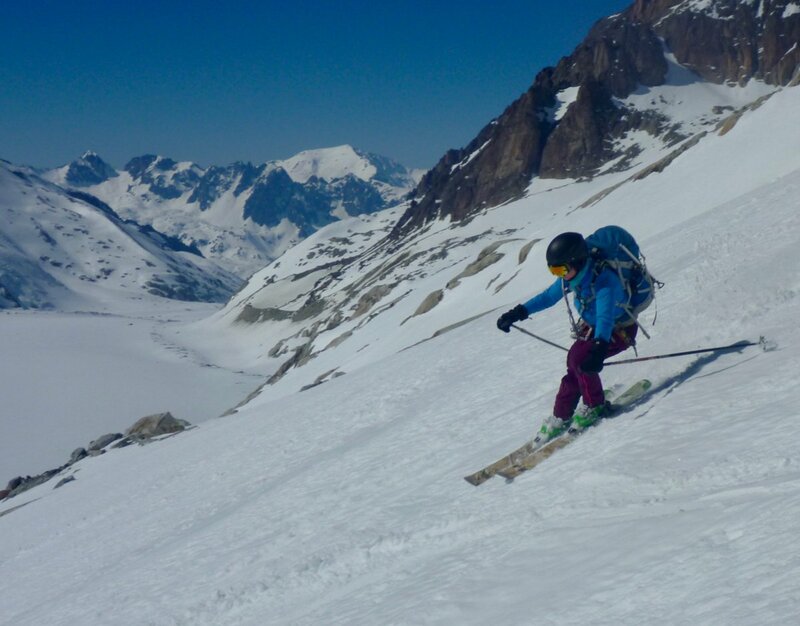 See our Chamonix Mountaineering Equipment hire page. 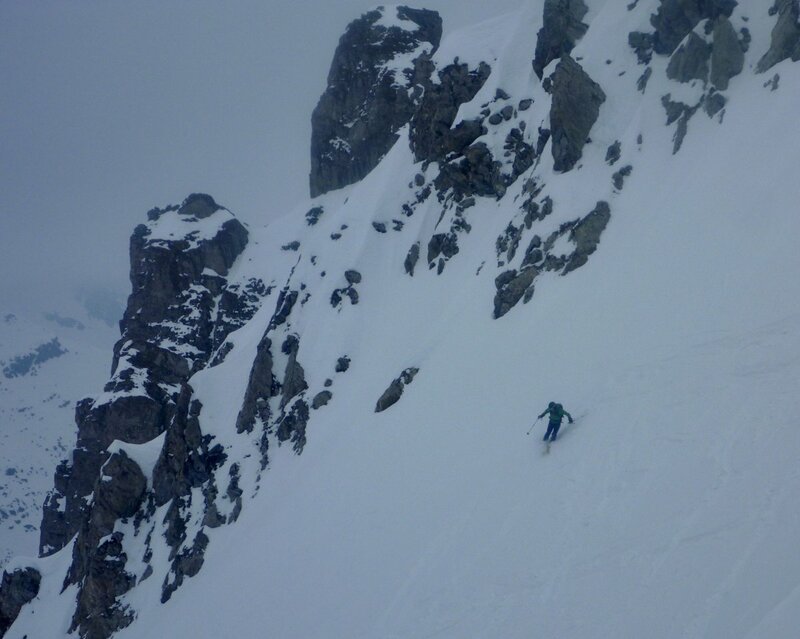 Mountain Lifts – Example Day 1, Flegere Return C. 30 euros. Day 2, Hellbronner Return C. 35 euros. Day 4 Midi Return, C. 50 euros. 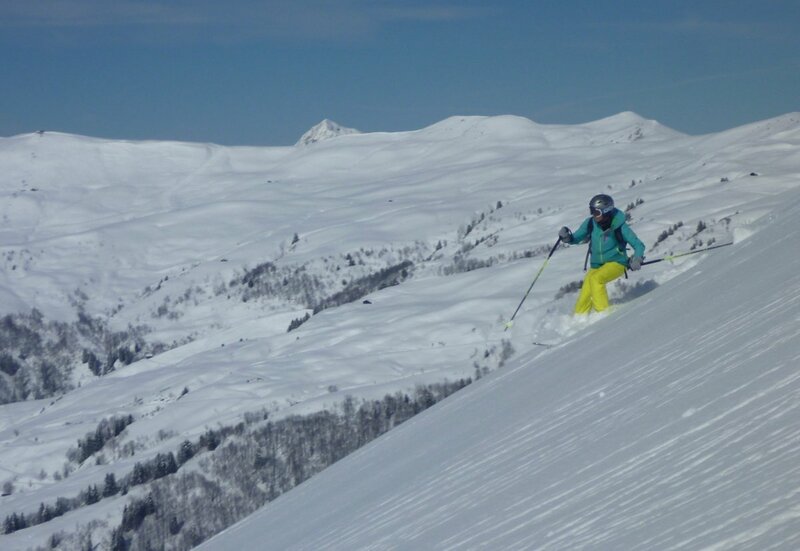 Mountain Huts for you and the Guide. Allow about 65 euros per night for dinner, bed & breakfast and your part share in the same for the Guide (at a heavily reduced rate). The best way to deal with these expenses is to make a communal group ‘kitty’ which you contribute to and all expenses are paid out of.